What is this monster of a book really about? It is about the famous chef, by Norwegian standard, Balder Mehamn, who has a meltdown live on camera. He locks himself up in his apartment with a herd of journalists waiting outside. There he starts writing down his thoughts, trying to reconnect with himself. Because Balder Mehamn has not always been Balder Mehamn. I said monster of a book because the main story is on 750 pages, and then there’s a hundred or so pages with footnotes. The footnotes are relevant and not relevant for the story. I skipped a lot of them as I have no interest in Star Wars and the like. And some of them were really unnecessary and made flipping the pages back and forth such a hassle. My favourite part of the book is the letters from Cordelia, Balder’s ex. 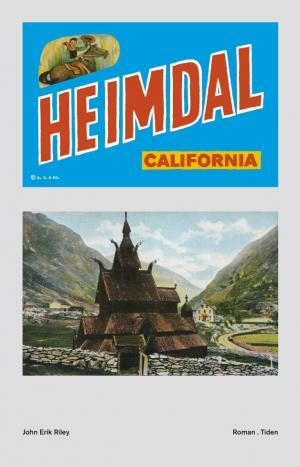 Cordelia is heartbroken and angry and eventually ends up in Heimdal, California where Balder grew up. Her letters are also filled with pictures and looking at the pictures this book feels more like an art project than a book. The book is written in both Norwegian and English which was perfect for my bilingual brain. But I can see how it will make some people give up this book. Will this book ever be translated to other languages? If so, how would that be? were some of the questions that popped into my mind while reading this book. This book is filled with references to popular culture, websites and other things that readers in 2011 will instantly recognise (at least some of them, I was proud of myself recognising the Of Montreal lyrics), but how will it be to read this book in twenty years? It was a long (took me over a month to finish it) and fascinating book and all honour to Riley for writing such a challenging book.